Park Morton’s Legacy: Head Start and Health Care | Park View, D.C. The completion of Park Morton in November 1961 was an important accomplishment (read earlier post here). Not only did it house families displaced by urban renewal, but it also introduced garden style apartment buildings to the housing types built for low income families. During the first decade of Park Morton’s existence, and up until the District of Columbia achieved home rule, the housing complex was well supported and housed by families working hard to make a better life – both for themselves and the broader community. It is too easy to dismiss and forget some of the early accomplishments of Park Morton residents, and harder still to find those years well documented in the popular press, so what follows are two of the better known and important contributions to society that is Park Morton’s legacy. 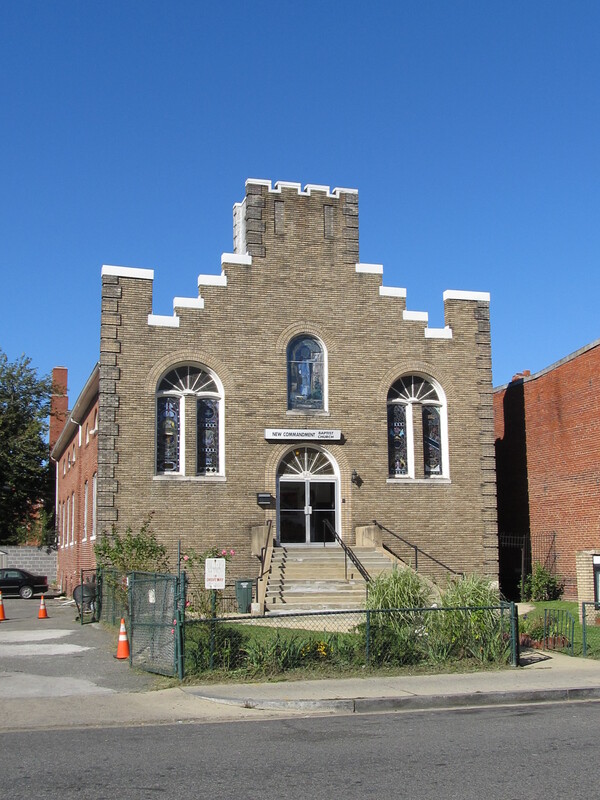 In 1965, the small church at 625 Park Road was the home of Trinity A.M.E. Zion chuch, and one of the locations of UPO’s pilot head start program. By February 1963 the mothers’ club of Park Morton were able to establish a day care center for youngsters of pre-school age at the youth center of Trinity AME Zion Church on the north side of Park Road. The mothers’ club was developed by Area J board of the District Commissioners Youth Council, whose area boards were made up of citizens working as volunteers for a better community. The first session of the day care was held on February 11, 1963, and was attended by five mothers and 15 children. The success of this day care in supporting the families living in Park Morton was likely a factor when the United Planning Organization selected Trinity AME Zion Church to be the lead site of their pilot Head Start program in 1965 (read more about this history here). The success of the pilot Head Start program, and its positive support of Park Morton youngsters, helped launch the national Head Start program. The Upper Cardozo Health Center, located at 3020 14th Street, NW, in Columbia Heights, owes its founding to five women living in Park Morton. In 1962, these women, frustrated and angered by what they felt were inadequate medical facilities available to low income families of the neighborhood, began a campaign to raise funds for the center. Four years later, with the aid of Change, Inc., an anti-poverty organization, and other residents of the area the women obtained a $1.9 million grant from the federal Office of Economic Opportunity to establish their clinic. In 1969 Washington’s first comprehensive neighborhood health center planned with the help of the low income families it served opened in a temporary facility in the Riggs National Bank building at 3308 14th Street, NW. By 1972 over 15,000 patients had received medical treatment at the center. Funding for a new $4.6 million health center at 3020 14th Street, NW, was made available in 1972 by a grant from the Commerce Department’s Economic Development Administration and matched by a loan from the Equitable Life Assurance Society and the Riggs bank. The site – then a barren vacant lot, a remnant of the riots 4 ½ years earlier – was made available by the city’s Redevelopment Land Agency. The Upper Cardozo Health Center was the first new construction planned on an urban renewal site in the Columbia Heights neighborhood since the 1968 riots. Work began on the new center in late 1972 with a ground breaking on October 25 and represented more than a decade of efforts begun by the women living at Park Morton who organized a committee to push for the new health facilities in their neighborhood. Work on the new center was completed and it was serving patients by March 1976. James, Betty. “OEO Citizens Advisers Back Health Center Plan.” The Evening Star, June 1, 1967, p. B-1. Levy, Claudia. “Mayor Dedicates New Health Center.” The Washington Post, December 15, 1969, p. B1. “Park-Morton Day-Care Unit Opens.” The Evening Star, February 12, 1963, p. B-4. Scharfenberg, Kirk. “Riot Corridor Health Center Work Begun.” The Washington Post, October 26, 1974, p. C1. Swanston, Walterene. “10 Years of Work for a Hospital.” The Washington Post, March 18, 1976, p. D.C.3. Taylor, Walter. “Health Clinic Started.” The Evening Star, October 26, 1972, p. D-4. This entry was posted on December 16, 2015 at 7:01 am and is filed under History, People. You can subscribe via RSS 2.0 feed to this post's comments.